Mastectomy Kit – FREE Shipping for Retail! 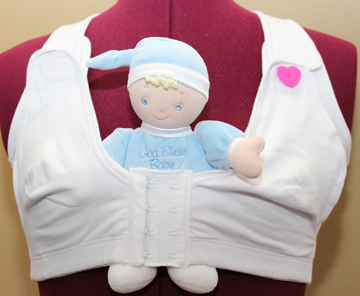 MedeBaby features: A special removable “Pink Heart” that is attached to the shoulder strap to help the mother keep track of which breast is to start next feeding. This can help to eliminate mastitis. Features include: Easy access due to adjustable fully releasable lift straps. 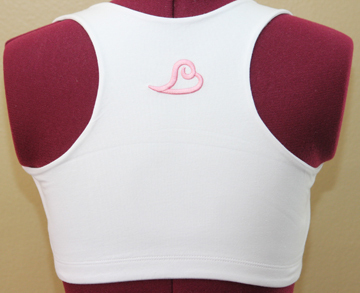 The Pouch is sewn on the inside of bra to store your extra pads for changes from leakage during the day. For measurement size, if you are on the top end of chart, it is recommended to move up one size larger. For example: The proper size for a 34D is a Large. 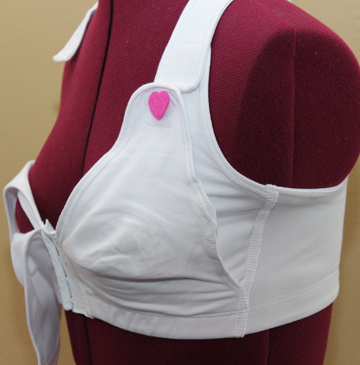 • Special removable pink heart that is attached to strap to help mom keep track of which breast is to start next feeding. • Easy access due to Lift straps. changes from leakage during the day. When measurement is on the top end of chart, it is recommended to move up one size larger. For example: The proper size for a 34 D is a Large. © Medebra. All rights reserved, 2019.